Suzuki Motorcycle has introduced 2019 edition of INTRUDER motorcycle. 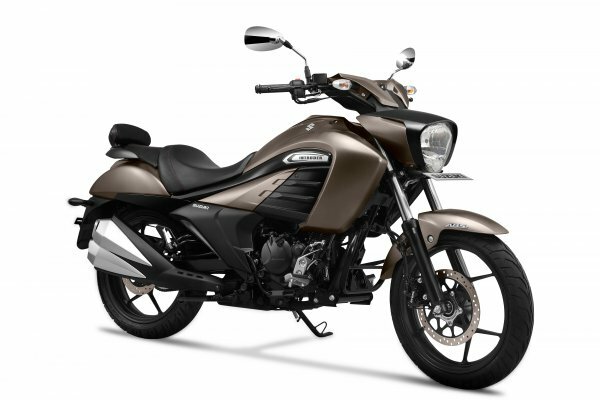 Suzuki 2019 Intruder comes in new color scheme – Metallic Matte Titanium Silver along with new design features to enhance the sportiness and comfort factor of motorcycle. The 2019 INTRUDER has been spruced up and is equipped with the updated gear shift design and improvised brake pedal for superior ergonomics and overall ride comfort. Also, the front foot pegs provide comfort riding capability along with an added backrest for the pillion. Suzuki INTRUDER is true to its contemporary badge along with futuristic features like 155cc SEP engine with superior riding performance, standard ABS and fully-digital instrumentation. Carrying forward the lineage of the legendary INTRUDER with its flowing character lines, big-bike like shrouds, and a sharp twin exhaust that makes turns head of every bike enthusiast. It’s low and long styling, with a long wheelbase, and a low seat makes it a go-to motorcycle for any kind of commute as stated by the company in its press statement.